This was my first Christopher Hitchens reading, so it took a few pages to get adjusted to his style of prose. There is no need for us to gather every day, or every seven days, or on any high and auspicious day, to proclaim our rectitude or to grovel and wallow in our unworthiness. We atheists do not require any priests, or any hierarchy above them, to police our doctrine. Sacrifices and ceremonies are abhorrent to us, as are relics and the worship of any images or objects (even including objects in the form of one of man’s most useful innovations: the bound book). To us no spot on earth is or could be “holier” than another: to the ostentatious absurdity of the pilgrimage, or the plain horror of killing civilians in the name of some sacred wall or cave or shrine or rock, we can counterpose a leisurely or urgent walk from one side of the library or the gallery to another, or to lunch with an agreeable friend, in pursuit of truth or beauty…. We shall have no more prophets or sages from the ancient quarter, which is why the devotions of today are only the echoing repetitions of yesterday, sometimes ratcheted up to screaming point so as to ward off the terrible emptiness. He is not afraid to call aspects of religion outright stupid. Every single step toward the clarification of this argument has been opposed root and branch by the clergy. The attempt even to educate people in the possibility of “family planning” was anathematized from the first, and its early advocates and teachers were arrested (like John Stuart Mill) or put in jail or thrown out of their jobs. Only a few years ago, Mother Teresa denounced contraception as the moral equivalent of abortion, which “logically” meant (since she regarded abortion as murder) that a sheath or a pill was a murder weapon also. She was a little more fanatical even than her church, but here again we can see that the strenuous and dogmatic is the moral enemy of the good. It demands that we believe the impossible, and practice the unfeasible. The whole case for extending protection to the unborn, and to expressing a bias in favor of life, has been wrecked by those who use unborn children, as well as born ones, as mere manipulable objects of their doctrine. The main takeaway point of this book is similar in spirit to that of Dawkins’ book. 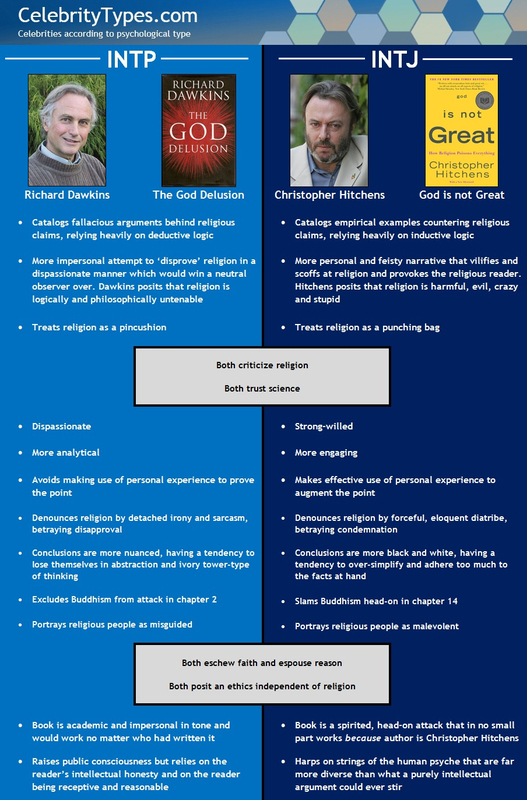 Dawkins argues that religion does not deserve special treatment and that the belief in gods is logically absurd, while Hitchens takes the taboo part of religion for granted and attacks the social consequences of it. Their books overlap in that they both view religion as a negative, but they are otherwise two totally separate books that complement each other well. Hitchen’s wrote as he spoke. I pick this up when I miss his voice… Thank you.